For the last six years of his life, Roger Deakin kept notebooks in which he wrote his daily thoughts, impressions, feelings and observations. Discursive, personal and often impassioned, they reveal the way he saw the world, whether it be observing the teeming ecosystem that was Walnut Tree Farm, thinking about the wider environment, walking in his fields, on Mellis Common or on his travels at home, or contemplating his past and his present life. 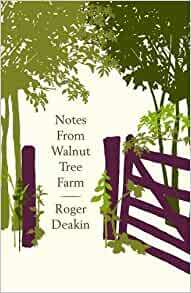 "Notes from Walnut Tree Farm" collects the very best of these writings, capturing Roger's extraordinary, restless curiosity about the natural and human worlds, his love of literature and music, his knack for making unusual and apposite connections, and of course his distinct and subversive charm and humour. Together they cohere to present a passionate, engaged and - in spite of the worst pressures of contemporary life - optimistic view of our changing world. Start reading Notes from Walnut Tree Farm on your Kindle in under a minute. I love this book, but would suggest anyone new to Roger Deakin's writing reads first Waterlog then Wildwood before reading Notes from Walnut Tree farm. 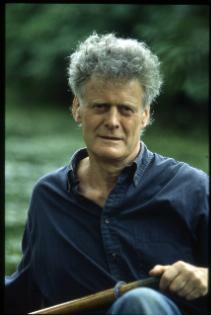 Roger Deakin was an author, broadcaster and film-maker, as well as being a founder director of Common Ground, the environmental and arts charity. He restored and lived in Walnut Tree farm from 1974 until his death in 2006. Waterlog was published by Deakin in 1999. Wildwood was published posthumously in 2007, followed by Notes from Walnut Tree farm in 2008. Edited by Alison Hastie and Terence Blacker, the contents are taken from Deakin's copious notebooks. I find Deakin's work compulsive, immersive and immensely pleasurable to read. Notes from Walnut Tree farm forms an addendum to a great life and to the other two literary masterpieces that precede it. Find out more about Roger Deakin on the University of East Anglia archive website. This is a lovely book for anyone who loves the countryside, especially the woods, and Roger Deakin fills the reader with a desire to get out there and take (another) look at familiar places. It follows the course of a year at his house in Suffolk and is the musings and jottings of a real country lover, well edited and easy to read. It is a comforting book as winter approaches as so much of it is about the continuity of nature as well as the need to protect our special places. Roger Deakin has a way of painting the simplest of scenes with the richest of prose. A true joy to read, this book gives you an insight in the life and mind of a brilliant writer and a man who found such joy in the natural world near his Suffolk home. I will re-read this book many times and would highly recommend it to anyone. Bought this after reading and loving Wildwood. Came up to expectations, he writes beautifully about a subject close to my hert. A lovely book that is a poignant epitaph to a remarkable individual. Roger Deakin would appear unique in the way that he viewed the countryside and all the creatures that lived within it. The notes are a delight and provide a fascinating insight into the last period of his life. If you enjoyed this book, the last in the tryptic, then read 'Waterlog' and 'Wildwood', you will not be disappointed. 5.0 out of 5 starsBought for my son. Walnut Tree Farm was on a list of books requested by my son, who studying tree surgery, is keen to read anything related to trees and their habitats. Roger Deakin, with his all round knowledge of nature, writes about his experiences with humour and has the ability to transfer knowledge to anyone reading this book, he has already become one of my son's favourite authors. I look forward to it reading too. 4.0 out of 5 starsEscapism. Thoughtful and heartfelt. His love of his home and surrounding area is uplifting and positive. Best read with a brew. Superb nature diary. One of the best.